Our Mission is to operate a coffee roasting business and café that provides our customers and our community, our employees and our coffee-farming partners, with those sustainable quality of life elements that a coffee business can provide and affect, from the quality of their lives to quality in the cup. 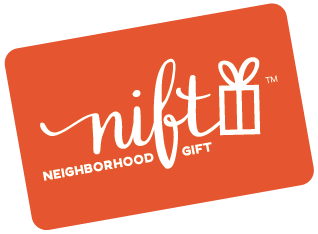 Excellent coffee and pastry, NIFT card very easy to use. Cozy neighborhood coffee cafe with high quality products. Terrific to have a chance to return to a neighborhood coffee shop. Thank you! Great selection of coffee! Long established coffee shop in Brown/Wickenden area. Appreciate their Support of small coffee growers world wide. Amazing customer service! Very knowledgable staff. Great coffee and pastries and very nice staff. They have the best coffee around! The Mel's Special Blend decaf is amazing! The young lady that waited on me was awesome and knowledgeable about the coffees. Coffee Exchange always has great service and gluten free muffins! It was awesome, great coffee and lovely atmosphere with friendly staff! I was pleasantly surprised and plan to return. The bagel was delicious! Coffee was great and the Cashiers were also! Merry xmas! Coffee Exchange was awesome, will definitely be back! I really enjoyed my experience at Coffee Exchange. Today I bought a new roast of coffee I had not yet tried, and the wonderful employee who helped me was an absolute joy to work with. Excellent service. Knowledgeable barista who made a great selection based on my 'taste'. Passed by Coffee Exchange many times, now I’m a customer! Wonderful service and thoughtful craftsmanship in their coffee. This is definitely one of Providence's hidden treasures. The coffee is robust. The fruit cup is fresh. And the coffee shop's atmosphere is wonderful. Love this place! Best Nift Gift thus far! Some of the best coffee I've had! coffee exchange has a large variety of coffee and foods. Absolutely amazing customer service, and my tea was delicious! Hot chocolate was great, but the brownies were incredible !! I love the Coffee Exchange. They set the bar high and have maintained it for decades. Great coffee, great local hang, great snacks, great fair trade sourcing. Well done! This gift gave me the perfect opportunity to try a local coffeeshop - thanks very much! Great, friendly and efficient service! Delicious coffee! Excellent program to further support businesses I already enjoy! I was pleasantly surprised to get a free coffee with my purchase of a pound of beans! Great selection of coffee beans and wonderful service! I’ll be back! They are great! !Wonderful Barista. Tasty food, great vibe! Great fair trade coffee and a friendly ambiance. Great selection of coffees! Good snacks too! Friendly staff and delicious coffee plus a variety of local pastries. Very nice, and great coffee! Great coffee and atmosphere! We’ll be back for sure! Really enjoyed my experience here - good tasting coffee and pastries, cozy but airy environment. Loved the coffee and the setting/vibe. I do wish Coffee Exchange still offered the option of getting your coffee in a ceramic cup instead of a disposable paper cup. It would also be great to have some freshly baked vegan options to go with the terrific coffee. The baked goods were amazing! Always love Coffee Exchange, not my first time here, but they are always extremely friendly and truly coffee experts. Best in Providence. Loved it! I was able to purchase a coffee and two pastries with the certificate. I thought it was a great value. Thank you! It was fantastic, one of the best espresso drinks I’ve ever had! The almond croissant was amazing, and the cold brew wasn't bad, either. Friendly and cozy place that I had been to in the past but not for a few years. I'll be back! I love coffee exchange.. been going there for years! Thank you! I was greeted warmly and helped swiftly at The Coffee Exchange. When the sales associate rang up my purchase of a pound of coffee beans, she offered me a free cup of coffee to take with me as well. It was delicious! Very helpful and friendly staff! Excellent customer service and delicious coffee. Customer service was excellent. Staff were very knowledgeable about the different types of beans from around the world and were helpful with my selection. Will definitely be back. Thank you. Cold brew coffee was delicious! Great opportunity to try a new coffee business. The coffee at the Coffee Exchange is always delicious - and the service always prompt, friendly and courteous! Thanks for the NIFT! I had never been to Coffee Exchange before, but I will definitely be back. It has a great atmosphere for sitting and working or for bringing friends. I haven't tried the ground coffee I bought yet, but my dad had a cup while we were there, and he said, "Usually I just gulp my coffee down, but this...this is sipping coffee. This is the good stuff." Trust me, that is a huge complement. I have been buying coffee here for over 30 years! Great place. Great coffee. Thank you!! Difficulty accessing with baby stroller though! Good service and food. Awesome gift. Love having a bakery run. I like how intentionally Coffee Exchange does their business dealings. Also the coffee is great. Wonderful community coffee shop. Been supporting them for many years! My latte was perfect and they were even able to accommodate my son's allergies by making him a chocolate milk. Delicious coffee, great service, yummy pastries! Great drinks, cozy atmosphere, friendly folks, and wonderful study spot! I am having a hard time submitting the number below, but I would rate a 5 -- highly recommend! It is a humming coffee shop with a cozy atmosphere and great coffee and service. Busy spot but great beverages with ability to customize. Great atmosphere and coffee. And yummy chocolate chip cookies! I am regular at Coffee Exchange. Love their coffee. Coffee Exchange has great coffee! Friendly service - great coffee! This is a great local business - have never seen it empty. Delicious treats at a great price. Coffee exchange was amazing. I got a knead donut and a latte, and both things tasted great. I loved the smell of coffee beans in the cafe, and I would definitely go again. Coffee Exchange has great customer service and fantastic environment. I would absolutely recommend! Cool place! Kind of busy. I plan on going back to buy coffee for my family over the holidays. Coffee is excellent. They didn’t have a posted food menu on the wall. After I finished my breakfast pastry I found out that they have bagels, which I would have rather ordered. They had a great variety of quality organic coffees. Even though they were quite busy, I was given patient personal attention and assisted in choosing a mix of coffee that I would enjoy. Very friendly staff. The woman at the counter was incredibly friendly and courteous and the coffee was delicious. Coffee exchange is amazing! They have incredible coffee and excellent local pastries - would highly recommend! Enjoyed the treats I got with my gift certificate, thanks! Coffee Exchange was great. The iced latte I got was delicious and the staff was very generous. Great coffee, fast and friendly service, 10/10! Excellent tobe iced coffee. Delicious, moist chocolate chip cookies. Nice, friendly employees.